The Woodshed is an Oberlin, Ohio based music company offering a variety of musical services including music/instrument lessons, sales & service, accessories, live shows, and recording services. All lessons are 30 or 50 minutes and open for all ages. We have professional and experienced teachers who teach all styles serving all levels and ages of students. To schedule a lesson, give us a call at (440) 775-1808, email us at kevin@woodshedlessons.com, or just drop on by! 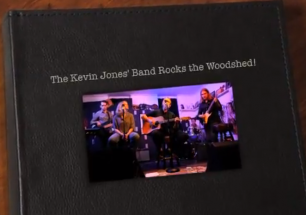 The Kevin Jones’ Band Rocks the Woodshed in Oberlin, Ohio!